Give thanks and celebrate the holiday! 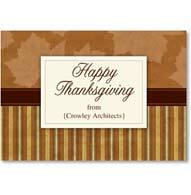 Send friends, loved ones, and business associates a unique and festive Happy Thanksgiving Card. Celebrate the simple joys of family tradition, the company of good friends, and all the pleasures of this autumn holiday! From humorous and sentimental cards to Thanksgiving dinner party invitations, these colorful cards let you share your thankfulness and best wishes at this special time of year. Looking for just the right Thanksgiving wishes and messages to include in your card? 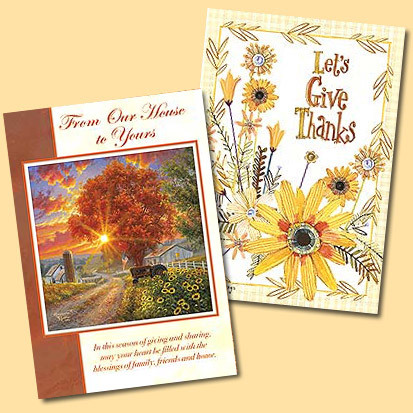 Browse our suggestions for What to write in a Thanksgiving Card!